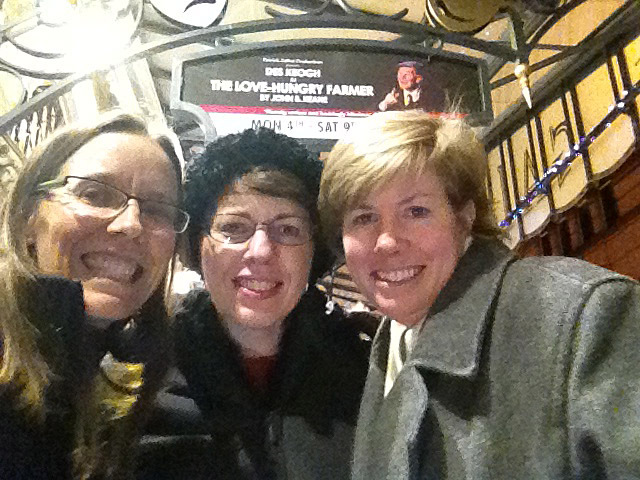 Shannon Chance, Kitty Lee Layman, and Patty Asplund after the Love-Hungry Farmer. Nose-bleed seats at the Gaiety Theater. …enjoying an excellent theater production.